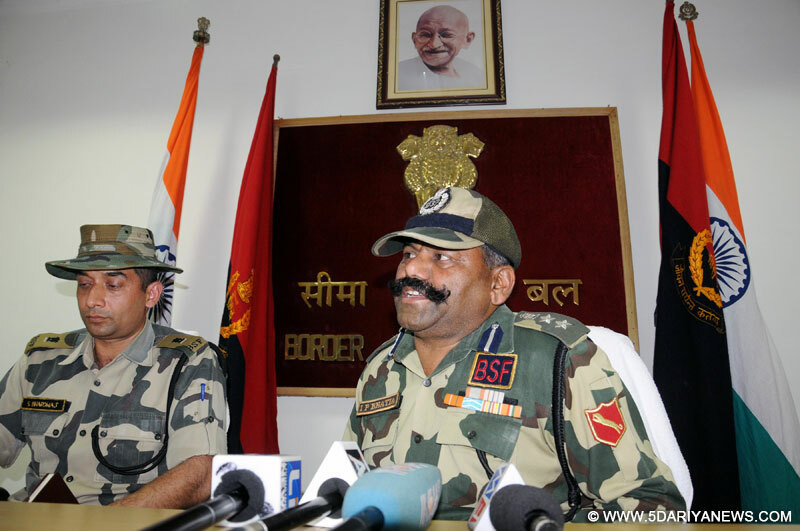 Three Border Security Force (BSF) troopers were injured in cross border firing in Amritsar sector of Punjab by smugglers from the Pakistani side, BSF officials said on Saturday.The injured troopers were rushed to hospital, officials said.BSF Deputy Inspector General (DIG) R.P.S. Jaswal told IANS that the troopers were injured in an exchange of fire with smugglers from Pakistan side early on Saturday.He said the firing took place at the Daoke Border Out Post (BoP), about 5-6 km from Attari border check post.BSF officials said the area was being searched following the incident. The troopers are always on high alert along the sensitive India-Pakistan border in Punjab.The border, which has an electrified fence inside the Indian territory, is used by Pakistani and Indian smugglers for heroin smuggling.The BSF has recovered nearly 125 kg of heroin along the Punjab border with Pakistan this year. Nearly 65 kg was recovered in the Amritsar sector.The BSF had recovered over 361 kg heroin, its highest ever seizure, along the border last year.